Enjoy adult coloring, crafting, and reading. Bring a friend to relax and chat. 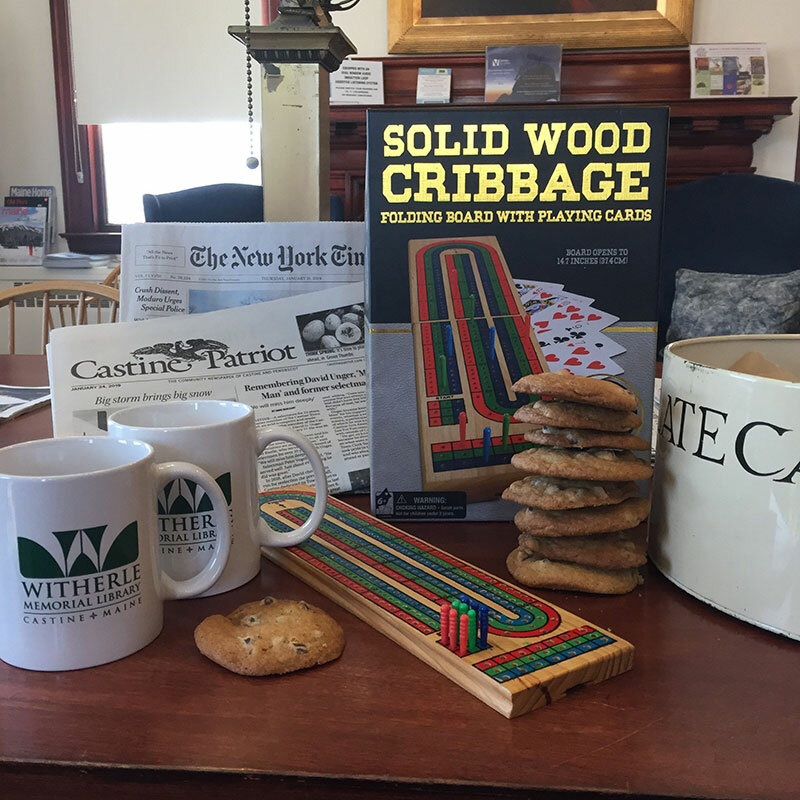 We have all the supplies to color, puzzles to arrange, cribbage and chess sets, and especially cookies, tea and coffee! The access is all level, with an elevator and handicap bathroom. We can play the news, run the Hallmark channel or watch movies on our large screen TV. If you need a ride, please call the library at 326-4375 and we will see if we can arrange for a driver/companion. Would your group host a Wednesday? This would entail asking your group to participate and maybe drive a friend over. Anyone is welcome at any Wednesday event, and you do not need to be part of a group to help. To volunteer, please contact the library.